MosquitoCon 26 Contest Results Posted! For an idea of what to expect, check out the MosquitoCon 25 page. Thank you to everyone that helped out with a Trophy Sponsorship package. We’ll have 100 vendor’s tables in the dealer’s room and in the contest room as well. Below is a list of some the vendors attending. plus many others with new and used kits, tools, and collectibles. 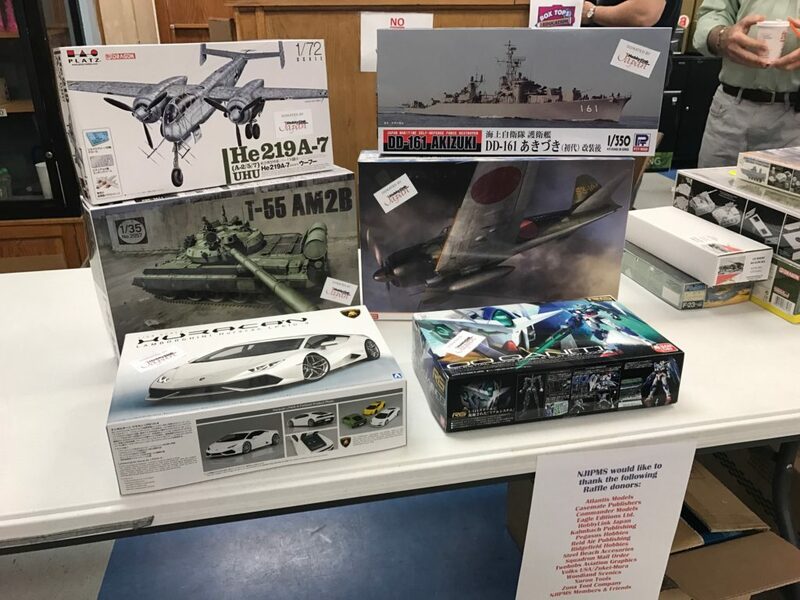 Thank you to HobbyLink Japan for these great raffle donations! We’ve been extremely fortunate this year to receive many donations of tools, kits, books and decals from the following companies. They’ll all be on the raffle table the day of the show. On behalf of all NJIPMS members, thank you to everyone that donated. 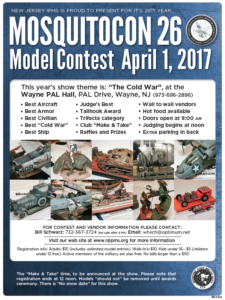 Also, as a special raffle will be held for a model diorama donated by the Wally Valetchko estate. Wally’s was a world-renown diorama builder, with many of his pieces taking top honors at national and international shows. Proceeds from the raffle will be donated to veteran’s outreach groups.